It’s been almost two weeks since my last post. Mr. Aitch and I have been on the road and once we finally got back home, regular life started back. Today is the first day I’m had to sit down and regroup. 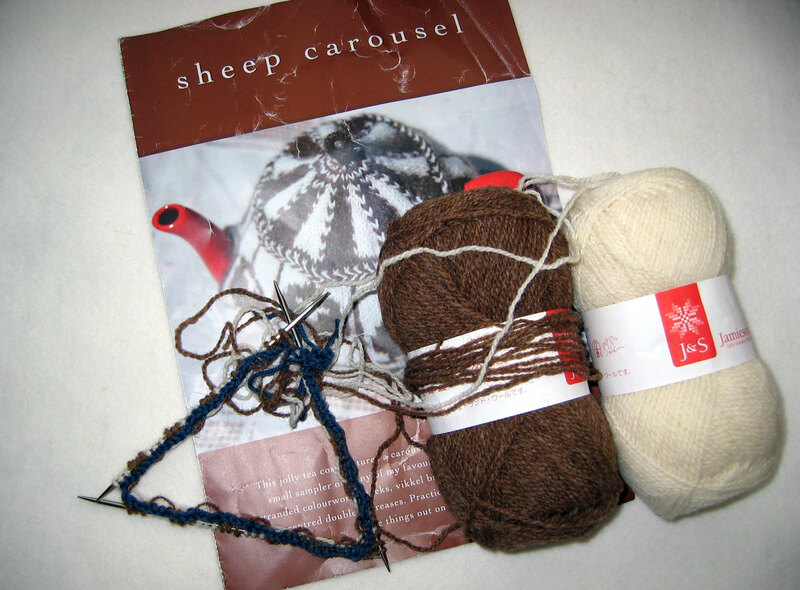 I started the Sheep Carousel tea cozy by Kate Davies. This is how far I’ve gotten after spending almost two hours with the provisional cast on and first two rows. The blue is the provisional cast-on row. I used this tutorial which was so easy to learn and understand. It’s really not difficult at all but for some reason my brain was not able to count properly. 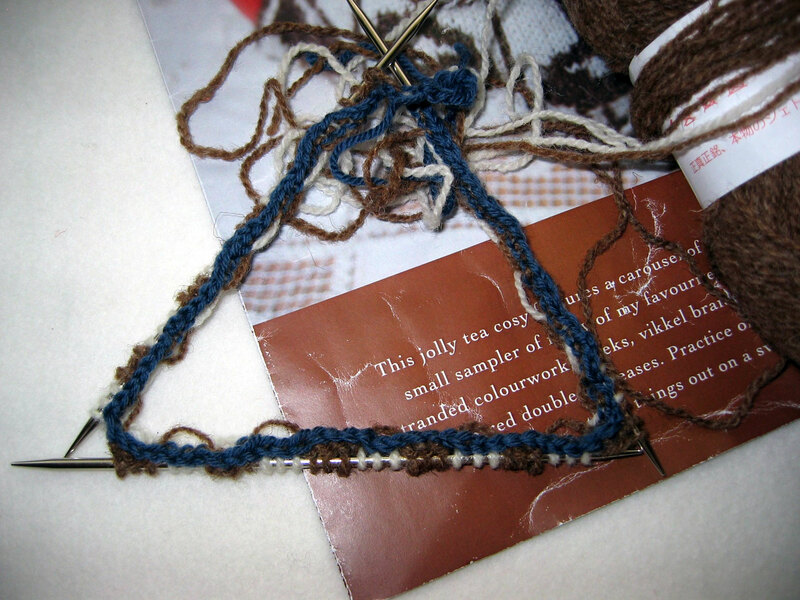 Counting is very important when one has to cast on a certain number of stitches before joining the yarn in the round. 1, 2, 3, 4, 5, 6……. This entry was posted in cosy, knitting and tagged knitting, tea cozy by Patti_is_knittinginflashes. Bookmark the permalink.